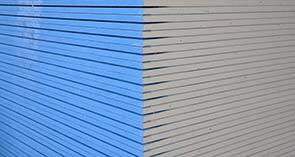 With the term drywall system we call the construction of buildings without the use of traditional materials (concrete, bricks, cement, sand, lime etc. 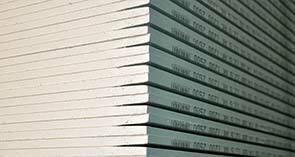 ), but with the help of standardized new technology products (plasterboards, cement boards & mineral fibers). Such standardized products are mainly cement, gypsum or mineral fiber slabs. 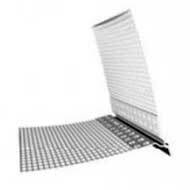 These plates are placed on a prefabricated metal frames with the help of support systems and then give the finishing a smooth surface ready for painting, wallpapering or tiling. Our range of quality plasterboards includes standard wallboard for general use and a comprehensive range of high performance boards with specific characteristics to enhance performance in the areas of: Moisture resistance, Sound reduction and reverberation, Impact resistance, Fire protection, Control of water vapour and Thermal insulation. Each of our boards is colour-coded to the industry standard to ease recognition. 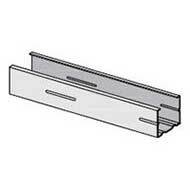 They are available with tapered or square edge profiles and in a wide range of sizes suitable for all applications. 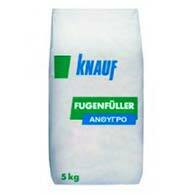 Gypsum filler for hand filling of drywall systems. Is a special gypsum-based synthetically enhanced powdery material set by the use of additives to be ideal to its field of application. Special advantages: Low drying shrinkage, Very high joint stability, Particularly easy to fill with creamy, pliable consistency, Quick development of hardness, Quick drying, Easy to grind with Knauf Abranet sanding mesh & Setting time approx. 45 minutes. Material based on special plaster and enriched with various admixtures for high-strength gypsum board, fibreboard and perforated plasterboard. 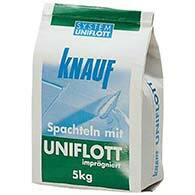 It is water repellent and has the same color as the unglazed Knauf plasterboard. 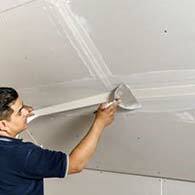 It consists of special plaster and admixtures and is in powder form. It is hydrophobic, green in color adapted for use with unhydrated plasterboard. 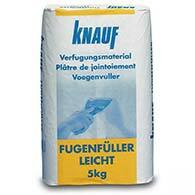 Fugenfuller-Leicht is a gypsum based product, suitable for jointing gypsumboards. A joint tape is necessary. 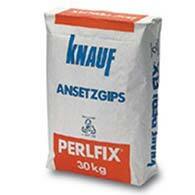 Knauf Perlfix construction adhesive is a gypsum-based powder mix with additives of polymeric substances, due to which the function of coupling with various types of surfaces is increased. 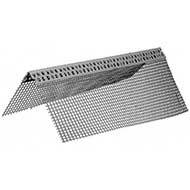 Mainly used for facing works. Without problems, she will put sheets of drywall, foam plastic or mineral wool. 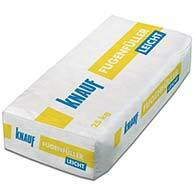 Knauf Perlfix should be used indoors with standard humidity. It can be slightly elevated, but it is forbidden to apply this glue in places where water can get into. From this it also follows that in the process of work it is not necessary to treat the working surface with water, otherwise the glue will not stick or will soon become unusable. 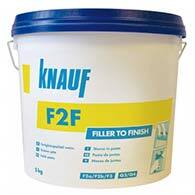 Knauf F2F is a ready-to-use material. 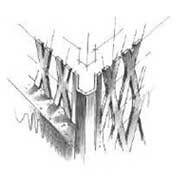 To adjust the application properties, it can be diluted with small amounts of water. 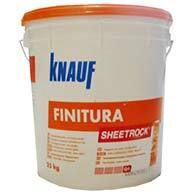 Stir Knauf F2F very well with a mixer. Use clean tools. 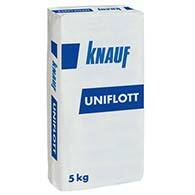 For machine application deplete Knauf F2F delivered in foil bags via a bag mangle directly into an airless gadget. Use on walls and ceilings. 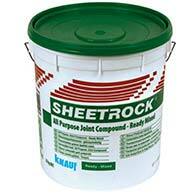 High-performance, multi-task compound for embedding joint tape, finishing drywall and more. An easy-to-work product for fast and smooth finishing of joints. 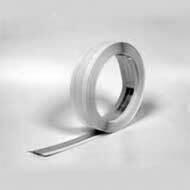 Can be used to tape and finish joint in partitions and ceilings and is suitable for use with paper tape, paper-faced beads and metal corner beads. Comes ready-mixed for minimal preparation and has a smooth application for long-lasting performance. Ready-to-use finishing material, very smooth finish for hand and airless machine use. 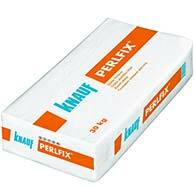 Suitable for plastering of plasterboard, concrete and surface plasters in a very thin layer with Q4 surface quality. Generic finishing putty for indoor use. 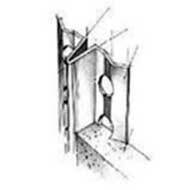 Ensures a perfect end result in backgrounds such as: plaster, traditional plaster, concrete and plasterboard. Knauf decorative ceilings offer freedom of architectural compositions that impress with their imaginative details and give identity to space. 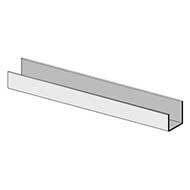 Suitable for store & supermarket ceilings. Sound-absorbing mineral fiber-insulating ceiling with perforation, sound absorption and sound damping, non-combustible, resistant to 95% relative humidity, light reflection LR = 88%, produced with or without shoulders. In Knauf acoustic ceiling there is a gap between the fixing base and the suspended ceiling which is available for the incorporation of mineral wool layers that contribute to the sound absorption capability of the roof as well as a variety of facilities. It is suitable for meeting rooms. The fireproof ceiling offers fire protection at the same time on both sides of the slab either individually on one side. It is suitable for restaurant and taverns. 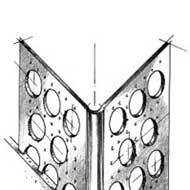 Indoor Visible Perforated Ceiling DanolineKnauf lighT-System Cartridges. Danoline Ceiling Panels are the obvious choice for achieving peak acoustic performance and excellent aesthetics. The painted side can be cleaned with a damp cloth and light cleaners. The plates can be painted with a small wool roll, taking care not to get a color on the back. This treatment does not reduce the acoustic behavior. 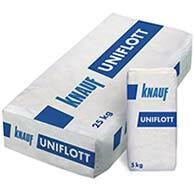 In our shop you will find a complete range of special screws, suspensions & Knauf & Amfil accessories for every drywall system building process, always at the best prices! 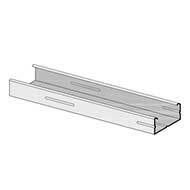 Indicatively, you can find a wide variety of sheet metal screws, plugs, drywall screws, THERMOPROSOPSIS expanding plugs and various mounting aids.